Charged with DUI in Arizona: What to Do? Driving under the influence (DUI) in Arizona is a very serious issue. This state is renowned for harsh penalties for this particular kind of offense, and you need to be very careful in order to minimize the damage this story will deal to your future and career. Therefore, the first thing to do is to look into the local law offices. A legal consultation is a must in this case, regardless of your actual guilt. You have already been caught and the wheels of the legal process started to move when a protocol about the incident had been filed. Therefore, you must find a lawyer as quickly as possible. The sooner you are able to stop the “justice machine”, the less damage it will cause you. In Arizona, you can be charged with DUI even if your BAC (blood alcohol level) is minimal. Just so you know that some medications can get this number high enough to get you charged, so you must be extremely careful when you take any kind of drugs. If the incident can be explained away by prescription meds, you must provide your lawyer with all the relevant receipts and documents from your doctor. An experienced specialist will be able to use these papers to get you some reprieve. As you need to find a legal representative immediately, you should use the Internet to do this. Unlike brick-and-mortar law offices, a website can be accessed 24/7 and you can arrange an interview online directly from your home. This way, you might be able to start meeting some lawyers next day. * How good are your chances in these circumstances? To give the attorney a better picture of the real situation you need to bring all the documents from the police and the results of your blood alcohol test. * What are your options? There are several ways to find a way out of any given legal situation. You need to know what choices you have and what consequences they will bring. You definitely need to ask about what will happen if you don’t hire a lawyer at all. * How much will it cost me? 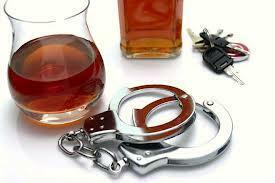 The attorney’s services shouldn’t be your only consideration as DUI cases are punished by heavy fines. You need to know exactly how much money you should expect to spend on this ordeal. Be sure to talk to the lawyer about any credit options offered by the firm as you may not be able to foot the bill in one go.